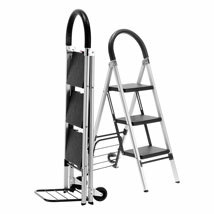 The Combo Ladder Hand Truck is both a Ladder and Hand Truck all in one. 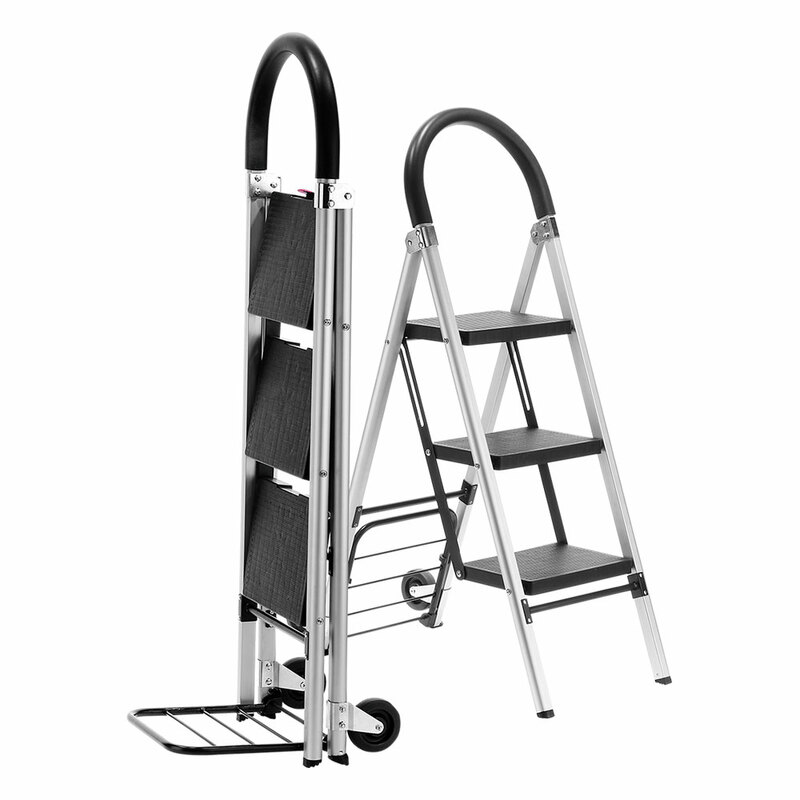 It is a three step ladder that will supports up to 265 lbs with 11 in. x 9 in. anti-skid steps. The Hand Truck has a load capacity of up to 175 lbs. The Combo Ladder Hand Truck unit has 4 in.non-marking quiet rubber wheels. Folds for easy storage.